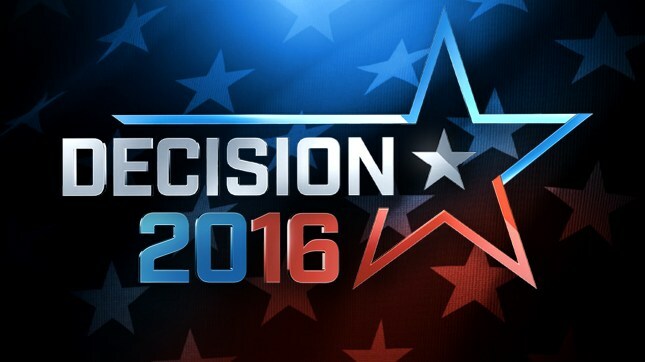 The 2016 Presidential campaigns are well under way with three primaries and two caucuses down. Now, whether you like it or not, if you’re involved in real estate in any form or fashion, politics play a large role in your business and you ought to be paying attention. How involved in that you’d like to be is up to you, but if you aren’t aware of the ramifications to your business that the policies laid out by the candidates can have, you may end up regretting your lack of attention. That, however, is a topic for another day. Today, I’d like to take a look (again) at the lessons we can take from a political campaign and apply (or not) to our business. If you think about it, at its base level, a political campaign is nothing more than a very long (too long usually) marketing and sales campaign. Now, it’s a candidate’s dream to run unopposed, but that’s not always the case. If you approach your business as a candidate running unopposed, when you do have an opponent you will be unprepared to deal with it and will likely lose the election. So, here are just a few of the many things you could take away from a political campaign that could very easily translate to your real estate business. Note: While I am going to use actual examples from actual candidates, none of the info contained herein should be considered a critique of a candidate or an endorsement. Please keep your political comments to yourself. 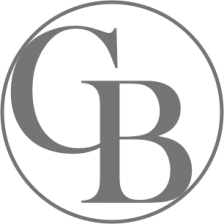 This is a real estate coaching blog read by no fewer than 21 people on a regular basis, not Fox News or the Huffington Post. If you ask most political consultants, they will tell you that one of the most important things in a campaign is messaging, consistent messaging. Despite the scope of a Presidential campaign and sometimes the mud-slinging that happens, a campaign should be about policies and issues and the candidate who can clearly, concisely, consistently and, more importantly, convincingly communicate those points to the voter (buyer) usually wins. We’ve all seen the “flip-flop” ads accusing one campaign of changing positions based on voter attitude. Your value proposition should not change based on trends. On the flip side of that, there is such a thing as too much messaging. Seriously though, how many of you have that friend who posts nothing on Facebook but things about their Advocare, Nerium, Plexus, Tupperware, Mary Kay, Seaweed Wrap, or Real Estate business? Being able to clearly communicate your value proposition is critical to your success. Wearing people out with it is, on the other hand, the fastest way to run someone off from being your brand advocate. So far, on the Republican side of this particular campaign, we’ve seen contests in Iowa, New Hampshire, and South Carolina. The winner of the Iowa Caucus on the GOP side was Ted Cruz. Cruz did an excellent job of communicating a message to Iowans that fit what they wanted to hear, despite having one particular position that directly opposed the views of many voters. In New Hampshire, on the other hand, a far more liberal state, Donald Trump held firm to more centrist ideals and won overwhelmingly. In both cases, the candidates knew their audience well and communicated the message using every format they could and came away with the win. Another big difference between the Trump and Cruz campaigns is how they have put together their ground game. Ground game in a campaign refers to the number of people going door-to-door or making phone calls for a candidate. Ted Cruz has been very good about setting up a solid ground game in nearly every state. On the other hand, Donald Trump has eschewed the traditional ground game strategies and relied more on large-scale events and making headlines. Traditional wisdom would tell you that the person with more people working the public will win. In this case, nothing about this election has been traditional. That being said, let’s go with tradition and try to build an army of advocates out there building your brand for you. It is, after all, the cheapest and most profitable way to build your business. So, here’s where the rubber meets the road in a campaign. A campaign is a zero sum game. In order for one candidate to gain votes, they have to take votes from someone else. The only way to do that is to differentiate themselves from the other candidates in the field. Sometimes that is easy because of significant differences in opinions. Sometimes, however, many of the candidates look and sound a whole lot alike. Being able to effectively differentiate themselves from the others in the field, even if there are few actual differences, is what allows a candidate to take votes from other candidates in order to win. What is the value proposition you need to communicate to differentiate yourself from the other candidates to help a client buy or sell a property? Does your service differentiate you? Your use of technology? Your expertise in a certain niche? Analytics are extremely important in a campaign. Everything is measured. From opinions about immigration and economics to who is most handsome or pretty to, in the case of Bill Clinton, boxers or briefs, everything is analyzed and measured. Anomalies are tracked. Trends are forecasted to account for every possible outcome. Polls are taken regularly and analyzed. Adjustments, based on all of this data and its analysis, are made to ensure that the candidate’s message, appearance, marketing materials, or anything else that isn’t seen as favorable changes. Remember, the goal of the candidate is to earn votes. The goal of the real estate business owner is to earn business. What are you doing in your business to measure and analyze the results of your messaging, marketing and dollars spent doing both? How would you adjust that strategy if it wasn’t working? Admittedly, the title and timing of this post is not coincidental, but that doesn’t change the lesson. Marketing campaigns are called marketing campaigns for a reason. From the standpoint of a business owner, your ability to look at the campaign in its entirety will allow you to come up with a more comprehensive plan for creating your value proposition and the marketing tied to it. Hey, you never know, you might just get elected in the process. As your real estate business grows and you find yourself getting busier and busier it becomes increasingly easier to get caught up in the day-to-day details and minutiae of what is happening in the moment. You’re working hard, doing everything you can to satisfy your clients, get them across the finish line, and, hopefully, get the referrals to grow your business. Outside of the client care, you’re still prospecting, marketing, and doing all of the other little things you’ve been doing to grow your business. That’s what you’re supposed to be doing, right? Of course it is. That being said, at some point, you have to step back and focus on your business from the CEO perspective, not the technician’s perspective. If you aren’t spending as much time working on your business as you do working in your business, you’ll never transition from practitioner to true entrepreneur. Before I really get into the explanation, if you haven’t read The E-Myth Revisited by Michael Gerber, do yourself a favor and read it as soon as possible. To make an illustration most of you will understand, especially those from Houston where we have a restaurant every 500 feet, have you ever been to a restaurant where the food was great only to see it go out of business a few months later? So many of those close because they were opened by great chefs who knew little to nothing about the business of running a restaurant. You see, just because you are a great chef or a great cupcake maker or, for that matter, a great Realtor doesn’t mean that you would necessarily be a great restaurateur or bakery owner or brokerage owner. That’s really the difference. Using the restaurant example to expound, the great chef worries about creating a great dish. They want to drive the business to the restaurant by having people tell their friends how great the food was. Sound familiar? The restaurateur, on the other hand, is concerned about the overall experience of the diner. They focus on decor, ambiance, seating charts, service, amenities, staffing, and a million other things, not to mention spin-off concepts, expansion, and, ultimately, an exit strategy. See the difference? The chef works in his business while the restaurateur works on his business. So, how do you step back to work on your business and where do you start once you do? First and foremost, you have to make time. You have to have scheduled time daily, weekly, monthly that is dedicated to your strategic planning for your business. These time blocks have to be non-negotiable. Zero distractions. If you have to get up and leave where you normally work, do it. Turn off your phone and email. Your only focus is your business as a whole. Below is a short list of the items that you can and should do during this time. This list will expand over time as your comfort level with this grows and as you get deeper and deeper into your business operations, future plans, and all of the new ideas you develop. Audit, Audit and Audit – To start off, begin with what you’re doing now and examine every piece of it. Make changes where necessary. Lather, rinse, and repeat. Systems and Processes – What makes McDonald’s successful? The fact that a Big Mac in St. Louis tastes the same as a Big Mac in New York or London or Tokyo. Systems and processes make that happen. Your business, if it is ever going to grow, has to have them. From CRMs to lead generation to follow-up, everything needs a system. That’s how you create an asset. Expansion and Personnel – That’s right. Most agents wait too long to hire and their business suffers. If you’re not at least thinking about it, you need to be. As your business grows, you need to grow your business and you’ll be glad you’ve been thinking about it all along. Strategic Planning – Do you have a plan for growth? A real plan, not just ideas? Are there action steps associated with the plan to help you reach your goals? Do you have a plan for marketing, social media, farming, and everything else in your business? Now would be a good time to start. For every goal you have for your business, there should be an action-based plan in place. Exit Strategy – You might just be starting in business, but, wherever you are in your career, you need to consider your exit strategy. Are you creating a true asset that you can sell one day when you are ready to leave the business or retire? 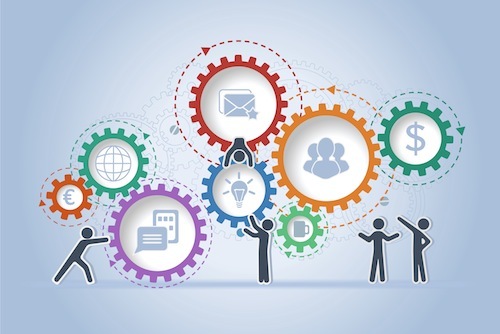 Technology – If you aren’t regularly looking at ways to leverage technology to increase efficiency, automate what you can, and increase your level of service, you are missing out on one of the best ways to stretch your time and productivity. Like I said, the list goes on and on and will grow. The key is that you’re actually working on your business instead of always working in your business. I believe that once you change this approach, you will find yourself working more and more on your business. That’s when you truly begin to transition into the CEO role of your business. When starting a real estate career, having a sphere of influence can make a huge difference in how quickly you start to see business come your way. It boils down to the old adage that sometimes it isn’t what you know, but who you know. So, what happens if you’re new to town and don’t have a strong network? Maybe you’re a young agent and your sphere hasn’t started buying homes. 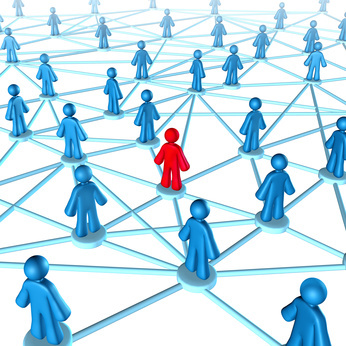 What is the best way to start your real estate career without a sphere of influence? Here are my top 3 tips for creating, cultivating, and connecting to a sphere of influence when you’re starting from scratch. Networking is a necessity for any agent. It is imperative for the agent without a sphere of influence. That being said, what is the right kind of networking to build a client base as quickly as you can? I am a firm believer that you should do what you want and like to do. Lots of people will tell you to join BNI or the Chamber or Rotary or something like that. Those are all great organizations, but are they great for you? Try joining an organization or club for something you like. If you’re into fitness, try a running club or fitness class. Into politics? Try an organization for your particular party or viewpoint. By doing something you like, first of all, you are more likely to continue doing it instead of just trying it for a while and then quitting out of frustration. Also, because you like what you’re doing, you are more likely to be seen as genuine and not someone who is just there trying to get business. There are a lot places online where people go to seek out an expert in real estate. Unfortunately, what they get sometimes is a lot of things but an expert opinion. So, here’s an opportunity for you to step in and be the answer to their questions, be the expert. Watch the forums on sites like Zillow, Trulia, Realtor.com, Homes.com, and your MLS, if it has one. Answer questions, provide advice, and try to score a shot at a phone call or appointment. I have watched one of our agents who didn’t have much of a sphere use this tactic and in less than a year she is one of our top producers. At the end of the day, when you don’t have much in the way of a sphere, it all boils down to hustle. How many people can you connect with in one way or another and get into your database. Are you working open houses to meet potential buyers? Are you taking the contacts you meet as you create your sphere through joining organizations and building friendships? Are you working the web for new business and, if so, are you getting the contact info and connecting? Are you leveraging relationships in your everyday life? Make your goal to add 3 people to your database or CRM software every day. Then come up with a plan to stay connected and start asking for business and/or referrals. Starting from scratch is tough, but can be done if you choose to hustle. Like everything else, you just have to make and work a plan that is driven by your goals. How often do we get a wild hair or have a plan for something and get started only to let it die on the vine over time? This weekend’s challenge is simple: Google yourself. Add keywords related to your profession. For example, let’s say your name was Chance Brown and you were in Real Estate. You might Google your name and then you might add real estate to the end and see what comes up. Whether you are in real estate or anything else, your online reputation can have a huge effect on your non-digital life. Take a few minutes to freshen up old profiles, close out accounts on pages you don’t use anymore, and make sure that you are putting your best digital foot forward when someone seeks you out. Also, don’t miss the opening game of the 2014 college football season as my Sam Houston State University Bearkats take on some team that plays on a red field Saturday at 2:30 on ESPN. Eat ’em up, Kats!!! I’m something of a numbers nerd, so to talk poorly of data is not the easiest thing for me to do. Indeed, especially in the real estate world, I would be the first to line up in favor of math because it helps remove emotion from decision-making. Emotion is inherent to real estate buying and selling because it is a huge decision for most people, but it also has a tendency to keep people from making the wise decision. So, this article is not designed to outright bash data but serve as a warning that blind acceptance of data can lead to the same mistakes being made as operating on pure emotion would. Pick a website, news outlet, or social media channel that isn’t covered on a daily basis with wide-sweeping headlines about this or that. They are designed, like any good marketing campaign, to elicit viewership and engagement. The problem is that once you get into the nuts and bolts of the issue at hand, you will find the underlying facts are not always the most pertinent to your particular situation. The same is true of real estate news and data. “Housing Starts Up”, “Housing Starts Down”, “Prices Drop While Inventories Soar”, “Home Prices Up Due to Low Inventory”, “Case-Shiller Index Up”, “Case-Shiller Index Drops”, “Pending Home Sales Drop Sharply”, “Pending Home Sales Highest in Years”: all of these are news headlines from the past five years. All of them are also true. All of them are also false. Real estate is inherently local. In the words of new marketing types, you might even call it “hyper-local”. Location, location, location is a real estate mantra that remains true and likely always will. The problem with the headlines above is that they take a national study and make it appear like the headline is appropriate for the local area of the reader/viewer. More often than not, that’s just not the case. Let’s assume, for a second, that I am a Realtor/home buyer/home seller in the Houston area. I see a news story saying how the Case-Shiller Index has predicted doom and gloom for the real estate industry/market. I decide not to renew my license/buy/sell based on the story. The Case-Shiller is the holy grail of market measurement after all, right? Except that it doesn’t include Houston in its analysis at all. The hottest market in the country over the past two years and one that was impacted less than most by the downturn and it isn’t included in the Index. The same goes with just about all of the studies that resulted in the headlines above. It takes a deeper look at the data behind the data to determine if it makes sense for you. So, how do you figure what’s right and what’s a really good headline? Examine their data, look for your region/city and make a logical decision. Even better, consult with a local expert or multiple experts in the field and get their opinion. 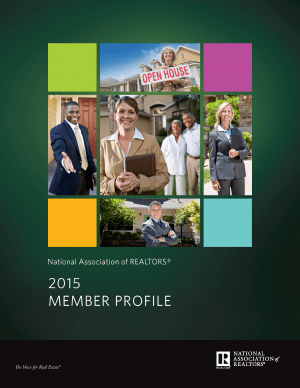 Call a local Realtor or your local real estate association and get their data. Don’t blindly accept information from television/internet sources that don’t explain how it affects you in particular.